Photographer, Environmental Activist, Author and Scientist. The Sierra Club named Boyd as the recipient of the 2015 Ansel Adams Award. 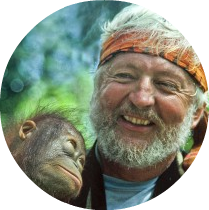 This award honors an individual who has made superlative use of still photography to further conservation causes over a lifetime. 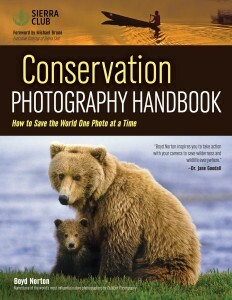 50 Years of Photographing to Save Wilderness! Sign up for our newsletter mailings containing important tips, latest photo news, information on upcoming photo tours/workshops, help and ideas on improving your own photography. 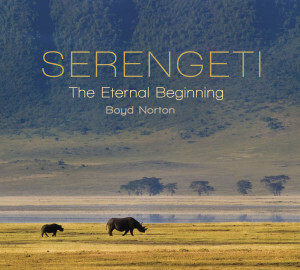 Boyd’s recent book Serengeti: The Eternal Beginning. A significant portion of the proceeds will be donated to Serengeti Watch. – the Jane Goodall Institute & UN Messenger of Peace. “What manner of insanity would lead us to destroy our own cradle. A cradle that still brings forth so much life. That is the Serengeti. And it’s richness and wonder are under great threat. Boyd Norton’s book, Serengeti, shows us this magical land in all its splendor, and demonstrates how we might better know it and preserve it”.